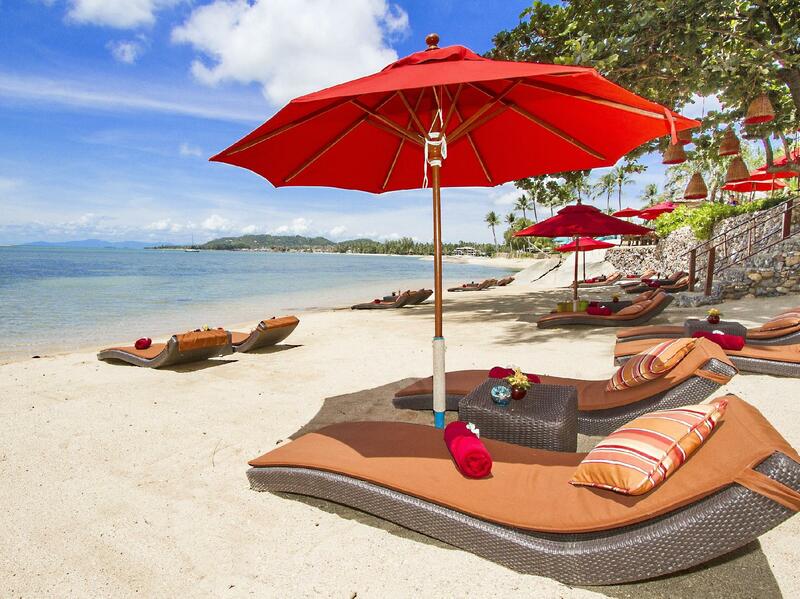 ﻿ Rocky's Boutique Resort, Koh Samui | FROM $94 - SAVE ON AGODA! 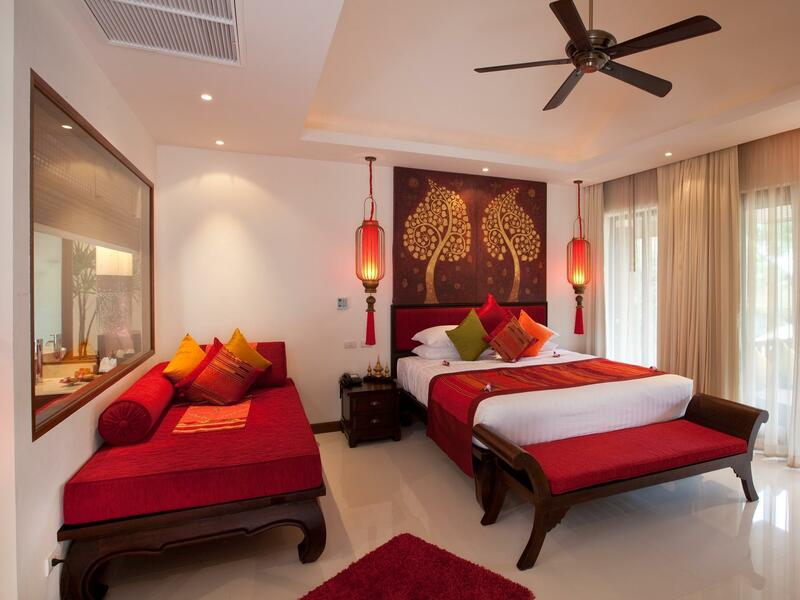 Have a question for Rocky's Boutique Resort? 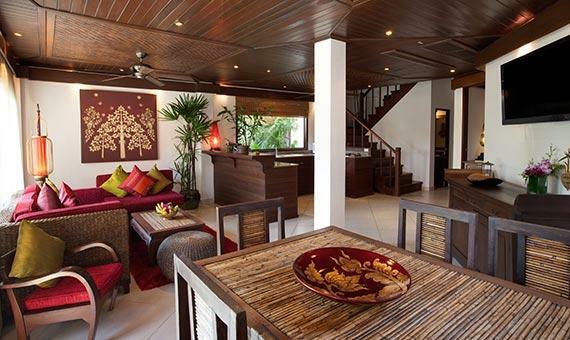 "Will return for sure, thanks all at rockys"
"When i arrived i was upgraded to the best Beach Front villa due to a wedding and wow the views were unbelievable." "This place, the staff, everything was amazing." This chic property, overlooking breathtaking views of the Gulf of Thailand and a short stroll to downtown Lamai, makes an ideal venue for unparalleled relaxation. Featuring rooms and villas to accommodate couples or families, the hotel's guestrooms come with a distinct character enhanced with all amenities guests can expect from a property of its class. Recreational facilities included a game room and two swimming pools, one on the beachfront while the other is placed in the garden. There is also a beautiful bistro/restaurant where guests can end the evening with immaculate dishes. 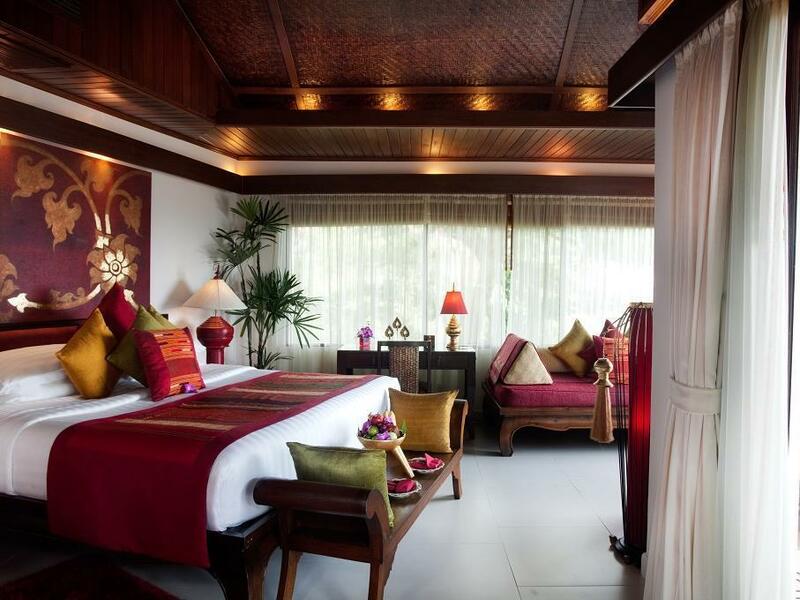 Well-kept accommodation and excellent facilities makes Rocky's Boutique Resort an exquisite place of stay. Airport transfer is available at an additional charge. In order to reserve the transfer, please inform the property of your arrival details at least 1 days prior to arrival. The hotel provides access to local gym and fitness center at no additional charge. The gym is a 5 minute drive from the hotel, guest can contact hotel for further information. Beautiful resort, superb servise. Great swimming pools. Far from Chaweng, 5 minutes by taxi from Lamai. There are no restaurants\stores in walking distance, so you should take into account that you need use the hotel restaurants or use the taxi\shutlle services. The hotel restaurants are excellent but expensive compare to Thailand prices. We took the a room with the sea view in this hotel and the stuff is really friendly and make you feel welcome during your stay . not so much during your check out. The location of the hotel is far and nothing to do outside the hotel . the prices in the restaurant are ridiculously high even comparing to other 5 star resort's in Thailand. overall checked out after 2 nights and moved to the center of lamai . not going to return there. I'll caveat this review by saying I live in Singapore and I'm quite spoilt as I've been to many countries for beach holidays around South East Asia. 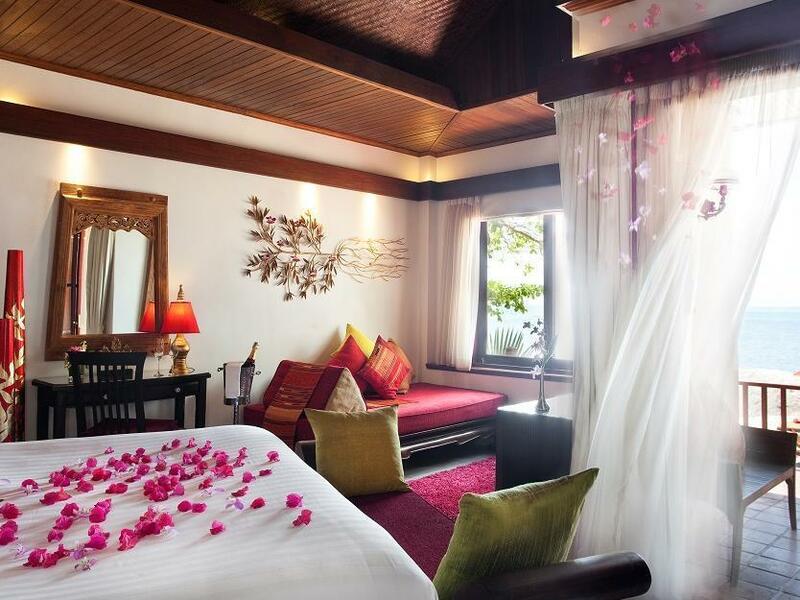 Rocky's is certainly beautiful and romantic - perfect for a nice weekend away but not quite honeymoon standard. The private beach is incredibly peaceful and picturesque. The sea is unbelievably warm - perhaps because you can wade out 100 yards and the water might not pass your waist. The whole vibe there - especially in their fine dining room, was very 80's - I've not quite decided whether that is in a good or a bad way yet. That said, in the evenings, when dining outside on a rock, overlooking the sea, it's very spectacular. The biggest disappointment was the staff. They weren't bad but I expected a higher standard based on how much we paid for the hotel. 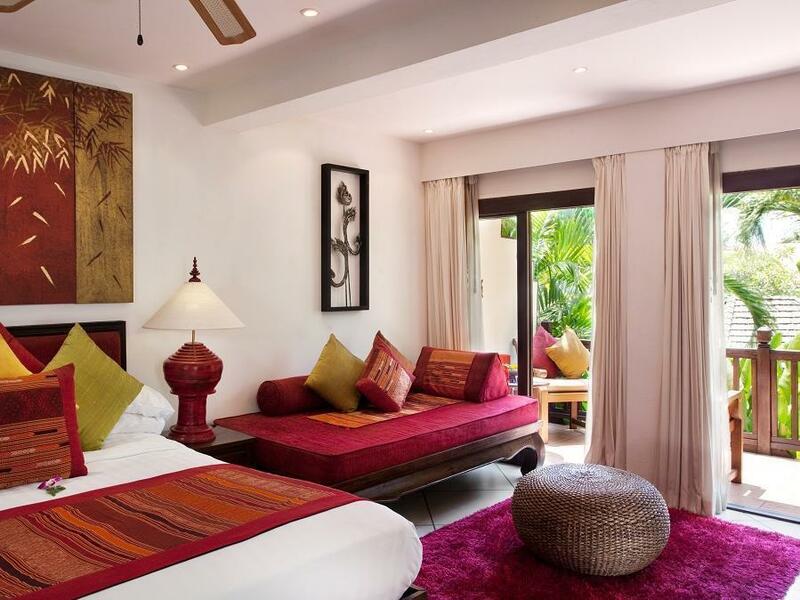 The standard in Krabi and surrounding islands, or Bali, is much higher. For example, when we checked in at 3pm, they made a real point of telling us that breakfast was not included (which really irks me when you are paying SGD $325 per night). They also didn't bother pointing out the pool, or the beach. In fact, I had no idea there was a second bigger pool, or a second restaurant until the 2nd day. A few exceptions aside, the waiting staff seemed quite disinterested and we saw a noticeable improvement when we went to other hotels in the area for evening meals. It wasn't a big thing... but had the service been better, I would have 100% recommended Rocky's but as it is, I would recommend it with a caveat and even suggest to friends traveling a long way to Thailand, that they would have a better all round experience by going to Krabi or Bali. Hope this helps. Our stay at Rocky's Resort was a trip of a lifetime. We enjoyed everything about the resort. Jeena and Martin went out of their way to make our trip amazing. We stayed in the villa just above the upper pool and the rooms were impeccable. All of the staff anticipated our every need! We will return! Rocky's was not the cheapest place to stay on Samui but we were glad we stayed there for 4 days. The large boulders around the resort and on the beach give the resort a unique look and feel. The quality of the food, service and grounds are all top notch. The two swimming pools were kind of small, but our two kids loved them. The resort was not so crowded and we didn't have to fight for a spot by the pool. The only thing that we missed was being able to walk out of the resort and have other restaurants and shopping close by. The taxis were cheap, however so it wasn't an issue. The eye for details for resort decor & room furnishing. Efficient service & Cozy private beach. It was a memorable honeymoon experience for us to stay @ Rocky's with Romantic feels. We witnessed grand wedding ceremony with fireworks & firedance by the beach. 5 star service provider & we recommended the resort to many of our friends & family. We were sad to leave the resort but will definately be back. THEIR SERVE THEIR BREAKFAST THROUGH A LA CARTE MENU WHICH YOU WILL HAVE EXCLUSIVELY COOKED BREAKFAST. EVEN WHEN WE CHECK OUT EARLY AT 6.30AM A BREAKFAST WAS PREPARED FOR US AS A TAKE AWAY BREAKFAST. SO SWEET OF THEM. ROOM CONDITION IS GOOD. VERY RELAX AND PEACEFUL PLACE TO STAY. Outstanding staff and service - here you are not only a guest but a member of Rocky's family! The staff and service at Rocky's is simply outstanding! I would specialy say thank you to the CRM Jenna, for the very warm welcome! The decoration is as well, much more than you would expect. Every detail is just perfect - at it comes directly from the heart of the owner. I really can highly recomment this hotel. 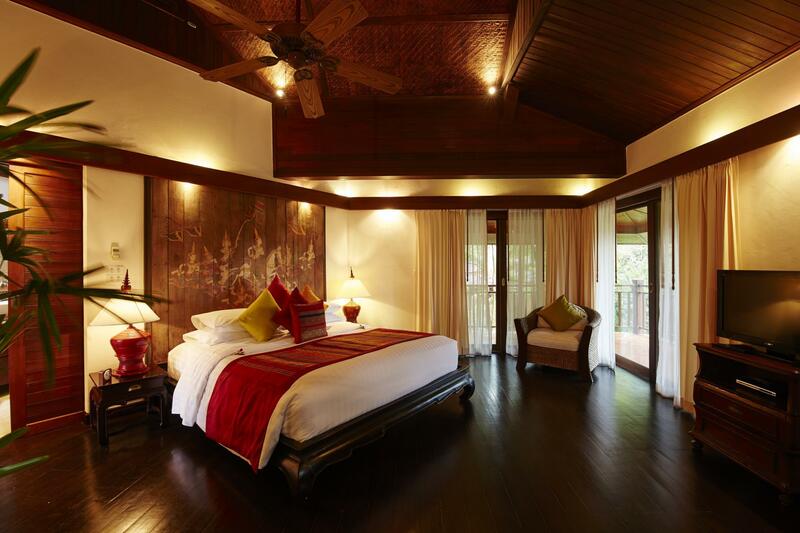 Rocky's is a peaceful and beaufiful boutique resort, far from the crowd. It is just perfect to relax. The food from the 2 restaurants is just delicious (of course more expensive than the local restaurants outside the ressort, but it worth it). Staff is very nice. I highly recommend this place if you are looking for an intimist and nice place to stay. Friendly and helpful staff who prepared our breakfast in a box since we have an early flight the next morning. Room was a bit small for the price we are paying and compared to the others we have stayed, but the decorations are decent and relatively new. The pool looked too small to enjoy ourselves in it and we decided to visit attractions near the hotel. It is 10 mins walk from the hotel to the grandfather and grandmother stone. Shuttle bus from the hotel to Lamai beach was also quite convenient. Rooms. Views & private beach. Great service, fantastic rooms and views that are exactly as shown on the hotel website. They've a great outdoor pavilion overlooking the small but clean, white sandy beach for massages and private dinners as well. Great value for money (booked on Agoda of course). The resort is a little far from the main town center compared to other resorts but that contributes to the exclusive 'hidden' charm of the place. NO more words needed. I will visit again soon! I dont even want to recommand this place to the friends since I want to leave this place as a my own secret place. Thank you for all crews in there! Great staff, great hotel, just sublime! Place is absolutely amazing,staff,food,rooms,location minutes to local attractions. The food and service here are exceptional and it is a very nice hotel. The biggest problem for us was that it’s too far away from the town and when the weather is poor there is very little to do. It is possible to catch a cab and they do offer a free ride into town three times a day but it’s not really great when you have finished your meal and just want to stroll around some shops. We chose a junior suite with ocean view. The room was stunning. Great breakfast and really friendly staff. Only downfall was the WiFi which was hit and miss. Keep your eye on the prices too add 17% to everything for tax and service charge. Overall though a fantastic resort with private beach and two pools. We had a very nice stay, the hotel is very nice and clean. I found that the staff was a bit too much friendly towards our 1 year old baby. In such hotel I would not expect them to touch the food I've ordered to try to fed my baby, with their hands! However overall our stay was good, our room big and spacious with ocean view. I would highly recommend the BBQ on the beach they held on Tuesday, food and ambience are great! This is the best hotel I have stayed in. We were honeymooners and received a free upgrade on our room. Throughout our stay the staff were amazing and the facilities incredible. It was such relaxing and peaceful place to be.